Growing up on a farm in a small town outside of Selma, Al was the highlight of my life. My appreciation for life and wanting all of its success is what made me work really hard toward success. I am the tenth child out of thirteen kids but I was determined to be more than a number. I joined the military at age 21, 15 years later I retired. Later, I was diagnosed with Lyme disease and I have been faced with many other battles ever since. I have never forgotten my faith and trust in God. I have always been a fighter and I know now that this battle belongs to the Lord. The book details my battle of Lyme disease 7 years ago. I was serving in the military when I was diagnosed. Shortly after, I was told I had chronic pain syndrome which is now called Fibromyalgia. There were days I wanted to just give up on life as the pain is sometimes unbearable. I reached down within and remembered my family values and spiritual life. 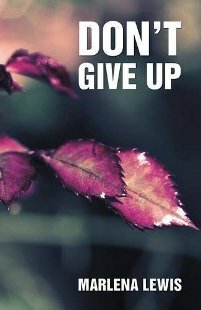 From that hope I perservered because I never gave up.